A mother-daughters trio finds a family bond in yoga. Our family's yoga story began 12 years ago, when my mom, Jill, started exploring hatha yoga and invited my sister and me to join her. Mom became a certified yoga teacher in 2005.1 trained to be a Bikram teacher in 2007, and my sister, Leanne, went through training last year. We all try to take each other's classes or practice together at least once a week, and our dad's a regular in Mom's classes. In class, we can share our struggles and encourage each other. We each hit a wall at different points in our practice, and when we do, it's nice to have someone there who supports us, who understands what we're struggling with, and, most important, who can make us smile. My mom and sister and I used to bond over activities like shopping, but yoga is a deeper, more authentic way for us to connect. When we practice together, we see aspects of ourselves in each other, both in our physical alignment and in our personalities, and we feel the strong family bond between us. We know that no matter where our paths take us, we will always have yoga to bring us back together. (j yoga diary Share your . personal stories with us at yoqajourrial.com/submissions. Yoga Sutra in Action Kate Holcombe is the founder and president of Healing Yoga Foundation in San Francisco. Her teachings apply the Yoga Sutra of Patanjali to daily life. Patanjali's Yoga Sutra teaches that the only person you can change is yourself; your practice is to create change from within by clearing your mind, connecting with your true Self, and acting from a place of wisdom. But the beauty of this seemingly "selfish" practice is that when you do your inner work, others around you, particularly those you are closest to, experience the positive effects of your work firsthand. Jill Tomanek, 55, and daughters Shauna, 32, and Leanne, 29. Deliciously nutritious. For just 60 calories. Introducing Pure Almond, from Silk*. 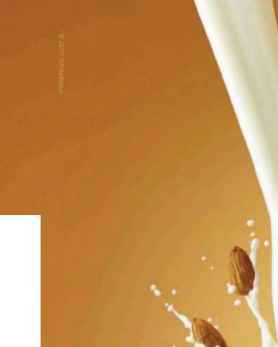 Smooth and creamy all natural almondmilk - free of dairy or lactose - that powers you up with antioxidants. In Original and Vanilla Flavor. 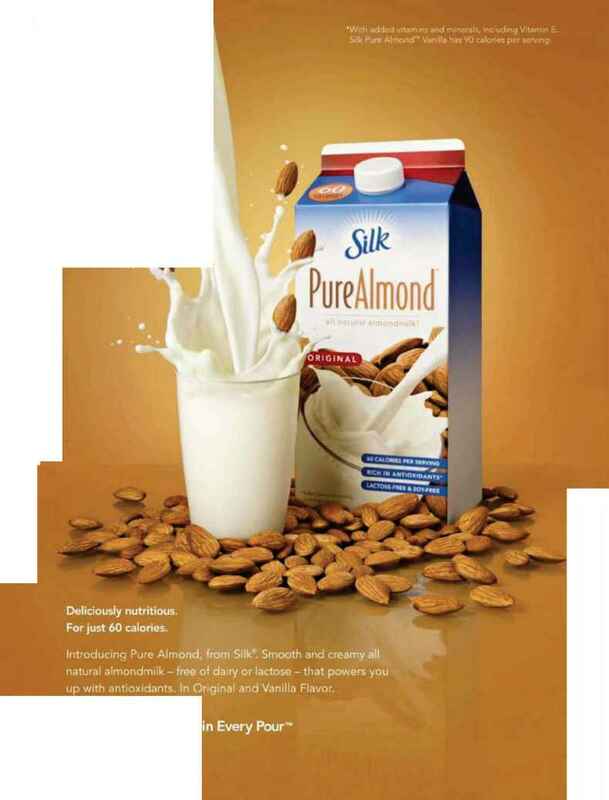 *With added vitamins and minerals, inc uding Vitamin E. Silk Pure Almond"" Vanilla has TO calories per serving.